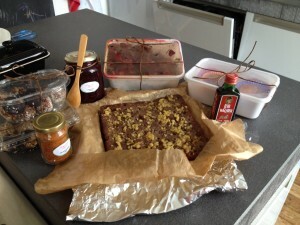 Only a couple of days now and the Christmas foodswap entry will close. The second foodswap I organize here in the Netherlands. This summer was the first one. Before than I had already participated in several foodswaps organized by others. Always so much fun when preparing the food for others, and receiving your own package is as excited as when you would receive your birthday presents. I really love the fact that everybody makes something from the heart and their personality shows through the products they send. It is always heartwarming to see what was made for me. The summer swap was actually sent at the end of summer, half September. ♦ Barbecue is summer, and therefore could not be left behind. Make a barbecue spice for your buddy. Do not forget to add a description. ♦ A food swap is no foodswap without baking something. This assignment is left up to you, whether you make something sweet or savory, bake cookies or bread. But, keep the summer in mind. ♦ We picnic a lot during the summer. In the garden, on the beach, or during the long drives to our summer holiday destination. Make something that should not be missed out during a picnic. ♦ As last assignment, a favorite product or ingredient from one of your holidays. Perhaps you stay home this year, think of a previous holiday and try to get the product or create your own. And remember, day trips also count. Be creative! Through random selection I had to make my foodswap for Sylvana. She mentioned that she prefers to eat as less carbohydrate as possible and is allergic to peppers. ♦ Ellen also added a beetroot salad which was delicious! The summer foodswap was a success and I am very much looking forward to the Christmas foodswap. 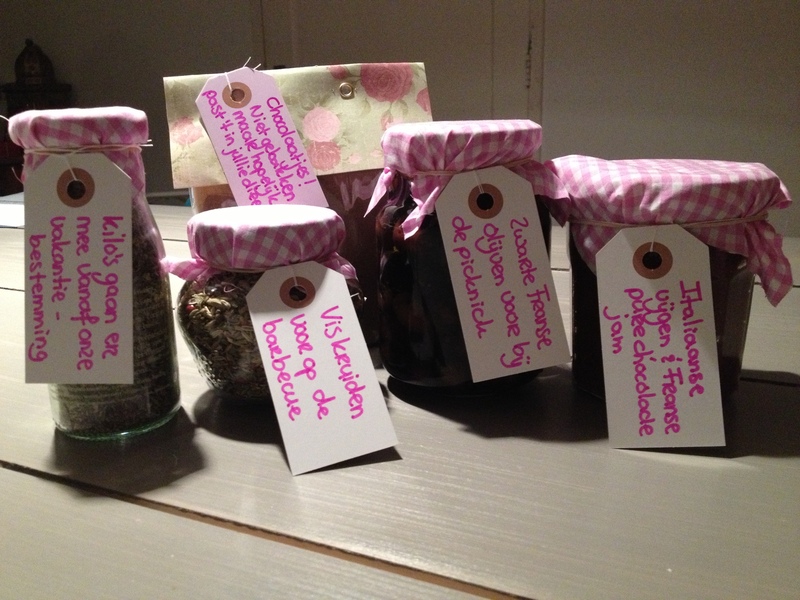 For the Dutch readers, you can still join the Christmas foodswap until the 31st of October. Ohh wat heb ik gesmuld van jouw mooie pakket! Het was ook echt heel leuk ingepakt. Super! Goed om te horen Sylvana. Ik heb de swap met veel plezier gemaakt. Op naar een volgende foodswap!